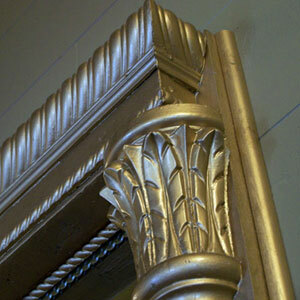 Wealthy Theatre was constructed in 1911 for vaudeville and live theater, and later became a neighborhood movie house. It served during World War I as a warehouse for the Michigan Aircraft Company, and in the 1960s, offered the only regional venue for foreign films. It closed in the late 1970s and stood empty, decaying for more than 25 years before the South East Economic Development neighborhood association launched a capital campaign to fund its restoration. The Theatre re-opened in 1998 as a community arts center and heralded a transformation of the entire Wealthy Street business district. "Restoring the theatre was the pivotal turning point for this neighborhood," said Carol Moore, a resident, landlord, and community activist in the Wealthy Theatre District. "We talked about it for years. And some people thought we were crazy. But once it opened, once people started coming back, the doubters became believers." In mid-2004, the Theatre closed again while the Board of Directors searched for a nonprofit organization willing to commit to the continued growth and revitalization of the theatre and its neighborhood. The Community Media Center was identified and after some study, the CMC board of directors voted to pursue acquisition of the Wealthy Theatre and the additional building at 1110 Wealthy. A Capital Campaign was launched and the buildings were acquired in March of 2005. 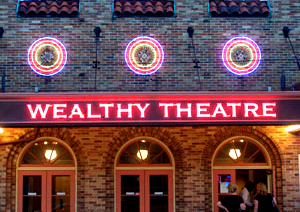 In October, 2007, Community Media Center completed its $2.4 million capital campaign, allowing the organization to bring Wealthy Theatre into the fold, as a historic venue with modern technology. Today, the Wealthy Theatre Complex is not only a landmark, community treasure with historic significance, but a pioneer in the infusion of technology into traditional theatre. 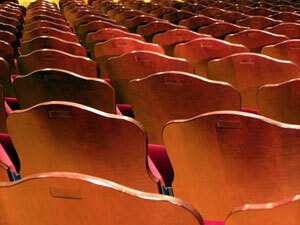 We've evolved the idea of "stage and seats" in a revolutionary way, retaining the old while embracing the new. The CMC Capital Campaign allowed for critical improvements: a concert sound system, electrical upgrades; new projection screen, a grand curtain; a micro-cinema space; renovations, repainting and upgrades throughout. Underneath the elegance and classic sensiblity that defines Wealthy Theatre, there is a matrix of new technologies. Our sound board and lighting boards are now completely digital and capable of control via networked computer. 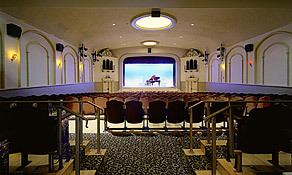 The motorized screen and grand curtain are controlled by the push of a button. Our robotic multi-camera recording system is run by a single operator via remote control, from the Tech Booth. Our premium microphones are capable of bringing out the best in whatever performance graces our stage: we have instruments mics for concerts from gospel to rock, wireless mics for theatre and comedy troupes, podium a/v connections for speakers and lecturers, and so much more.